Our focus for this project was to create a site that was easy to navigate and which offered quick access to specific features frequently used by parents and educators. We re-evaluated the site structure and created a homepage that alternated informational content for prospective parents and functional features for those currently enrolled. 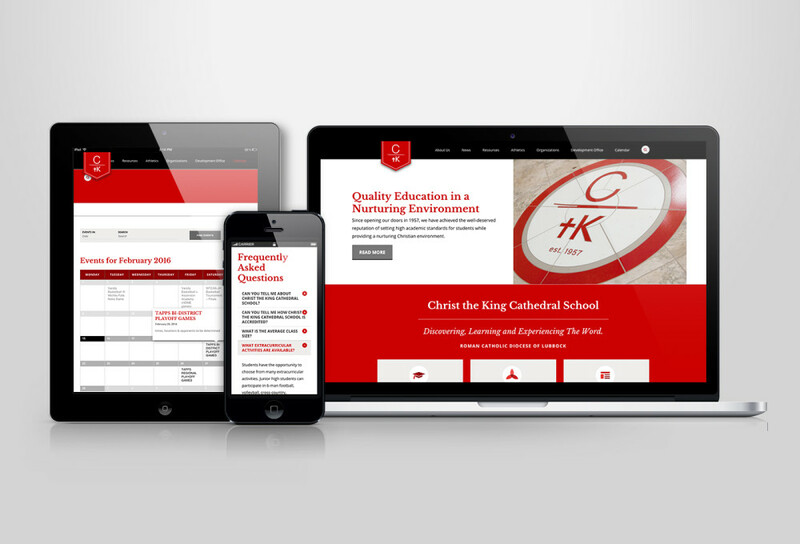 The design of the site is an extension of the Christ the King Schools established brand updated for a digital environment.